Zuko and Katara. . HD Wallpaper and background images in the Zuko and Katara club tagged: zuko katara zutara. This Zuko and Katara fan art might contain anime, banda desenhada, manga, desenhos animados, mangá, and quadrinhos. so funny! lolz! HUGE zutara fan! 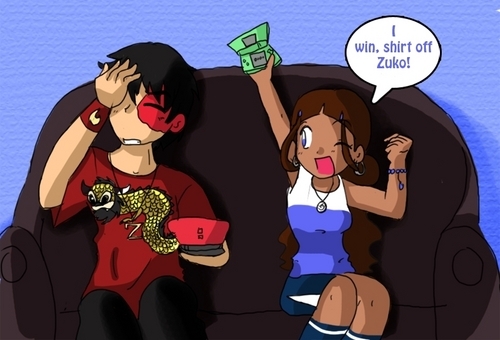 PLZ take your shirt off zuko!! See? it's fun to see these two together even as friends!